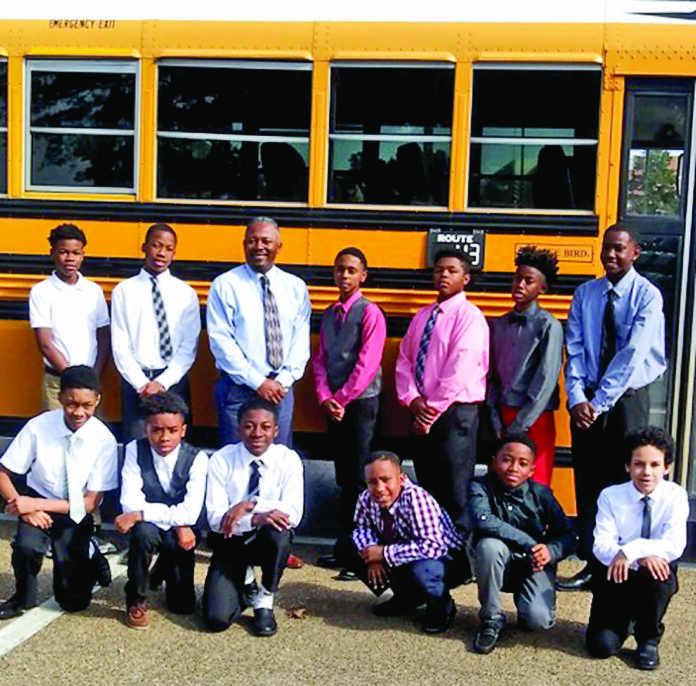 Jermaine Thomas of Natchitoches Jr. High School is continuing to influence the lives of 15 young men who are a part of the club that he created entitled the Boys to Men Club. Thomas took the members to explore the NSU campus Monday. NSU recruiter Kiley Bell took members of Boys to Men on a tour of a dormitory. For more information on Boys to Men Club, email Thomas at jermaine.thomas@ nat.k12.la.us. They had lunch in the college atmosphere at Iberville Dining Hall. Then NSU recruiter Kiley Bell gave them a tour of the campus. Bell expressed the importance of getting good grades now instead of waiting until high school. The members visited a dormitory to experience a brief taste of college life. “It is important that I strive to expose these guys to more than just junior high school life,” Thomas said. “These gentlemen were complimented on how well-behaved they were by the Iberville Dining Hall staff.” The motto of this club is “On My Way to a Better Me.” Thomas monitors grades of the male students in his club because grades are the most important thing. “If they can be successful in the classroom, then everything else will fall into place.” Last week, Thomas discussed the club on the open air at 92.3 with School Board Member Rev. Steve Harris. Thomas is a seventh grade math teacher at NJH.